Light, creamy, and smooth flavor. If it sounds attractive, then Vapetasia Killer Kustard e-juice worth trying. This e-liquid delivers a delightful vanilla custard taste with each puff. Light, creamy, and smooth flavor. 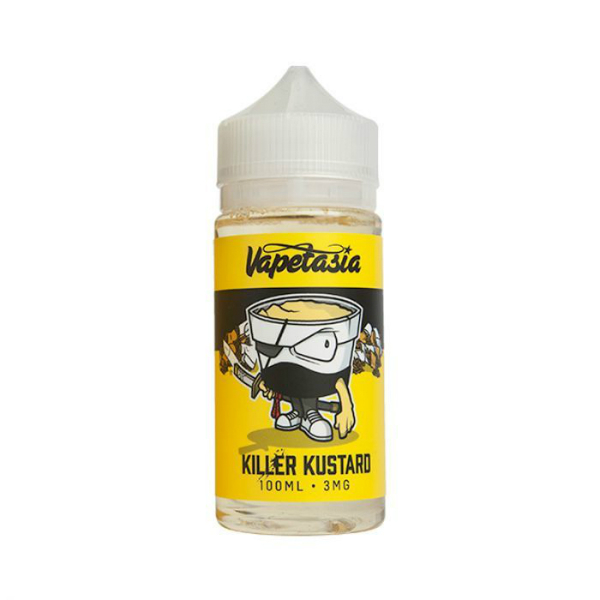 If it sounds attractive, then Vapetasia Killer Kustard e-juice worth trying. 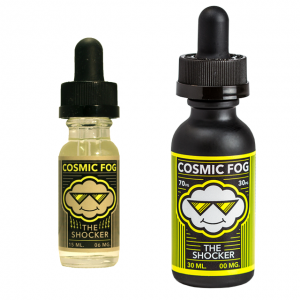 This e-liquid delivers a delightful vanilla custard taste with each puff. Killer Kustard boasts an ideal sweetness for a pleasurable all-day vaping. What is more, because of a 70% VG and 30% PG ratio, you will be able to produce huge clouds of vapor. A nice option for cloud chasers who prefer dessert flavors. Also, Vapetasia brand offers 4 nicotine levels – 0mg, 3mg, 6mg, and 12mg. You can decide, which one suits you more. If to speak about the bottle, Killer Kustard e-juice by Vapetasia is available in a 100ml chubby gorilla bottle with a creative fascinating design. 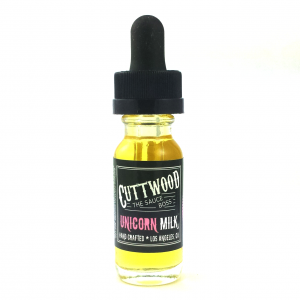 In sum, for dessert fans, this e-juice with its creamy sweet vanilla custard flavor is a must-try.